Public schools organise student free days when all staff at a school are required to attend training and development. 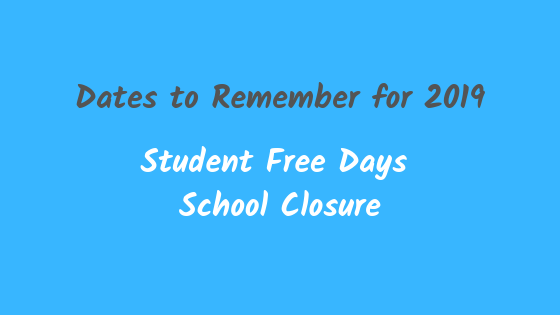 The Governing Council has endorsed the following days / dates for the remaining 3 x student free days and 1 x school closure (Royal Adelaide Show – Day of local significance) for 2019. Student Free Days – Teachers will be undertaking professional learning related to our site improvement plan on the following dates. Please note OSHC will be available for bookings. Friday 30th August – Start of the Royal Adelaide Show. We thank the Governing Council for endorsing these days for 2019 and value the support of our school community as we undertake these important professional learning days.